"Enter a post-apocalyptic wasteland and bid farewell to flesh as you find yourself launched into a futuristic society in which humans are rendered obsolete and mechas reign supreme. Artificial intelligence initially devised to enhance the human life is now the core of a worldwide revolution governed by an empire of hostile simulators. Survivors rampage through the wreckage in search of the globe's remaining gasoline, piloting heavily armed deathmobiles in this anarchic free-for-all inhabited by lethal automatons and savage raiders thriving on the termination of law and order." 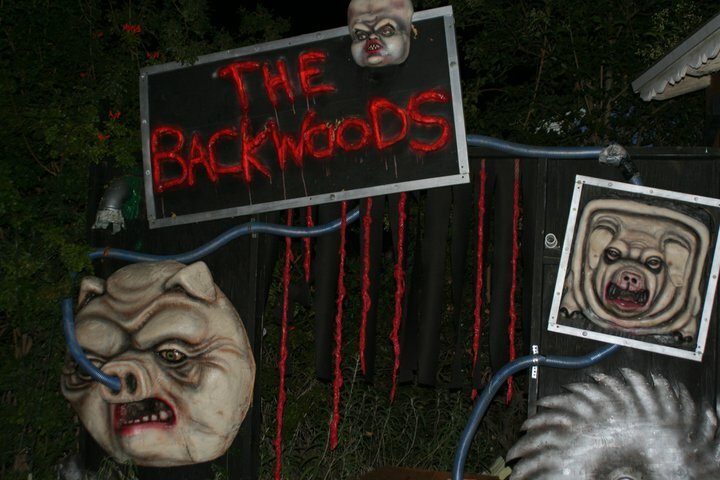 Backwoods Maze was Hollywood Gothique's pick for Best Amateur Haunted House Walk-Through in 2013. It is easily as intense as any professional Halloween event. Dates for this Halloween are: October 10, 11, 12, 17, 18, 19, 24, 25, 26 and 31 from 7:00 pm to 10:00 pm. As always, this amateur yard haunt is free of charge. 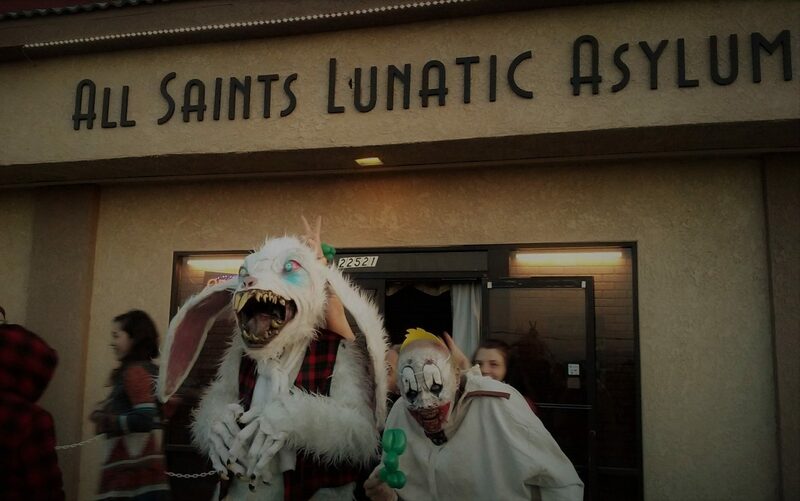 Find more Halloween Home Haunts here.